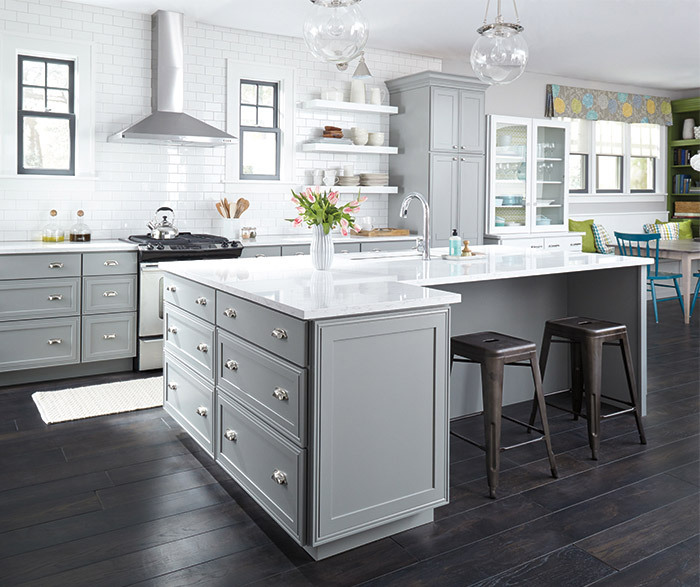 Rice says that her clients can’t get enough of gray cabinets. The sleek look allows homeowners to get a modern look without straying too far from a traditional design. Use a lighter shade of gray to brighten a space, similarly to using a white. 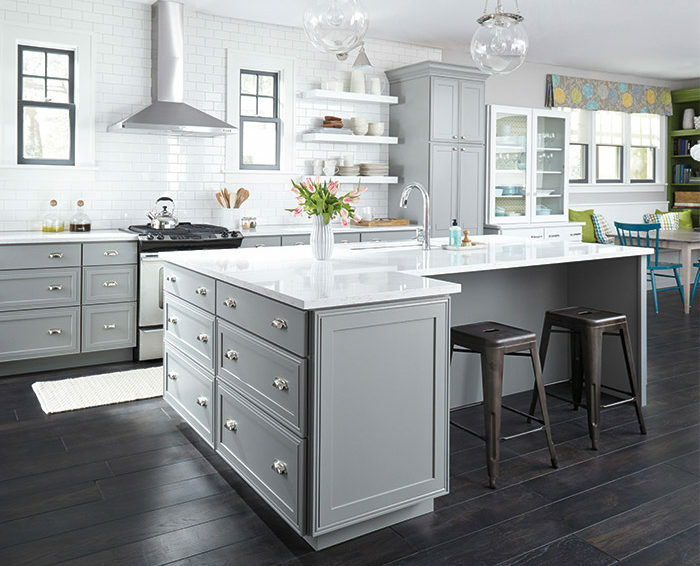 Or, if you want to create a dramatic kitchen environment, opt for a darker gray. Quartz countertops are becoming popular because of their durability, ease of maintenance and attractive coloring. Rice says the most popular styles are ones that imitate the look of marble. Quartz is non-porous, so you don’t have to worry about staining it like marble. And the stone is more durable than granite, so you won’t have to deal with superficial chipping. 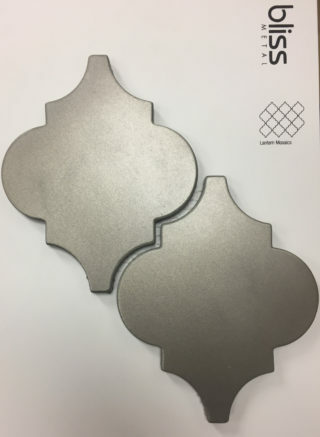 Subway tile is still a huge trend for our Design Studios, but Rice says clients are choosing to go for a bigger 3″x12″ tile, rather then the 3″x6″. Metallic-colored back splash is also becoming more popular. Backsplash that is less traditional spices up a kitchen without going out of a client’s comfort zone.